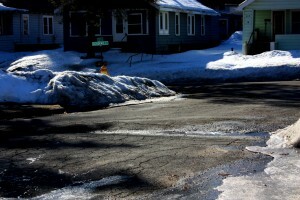 FULTON – The worst of winter waned with the recent thaw but as streets clear of built up ice and snow they reveal a pox of potholes plaguing the city: damage wrought by winter’s icy grip. 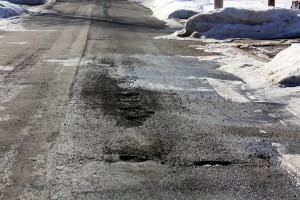 Mayor Ron Woodward explained that the Department of Public Works is out daily filling potholes with cold patch, a temporary pavement fix but the only thing that is available this time of year. Woodward added this is a perennial problem people deal with every year and it’s everywhere, not just here. 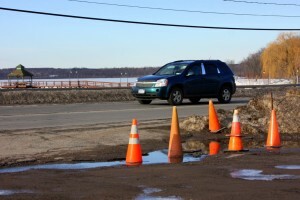 According to the U.S. Army Corps of Engineers “Pothole Primer” two factors must be present for the passageway’s perennial plague: traffic and water. Stretches of damaged pavement left by winter’s wrath and constant cars. Melting water from spring thaws can weaken soil under pavement; cracks in pavement can allow water to seep into the sub-base. 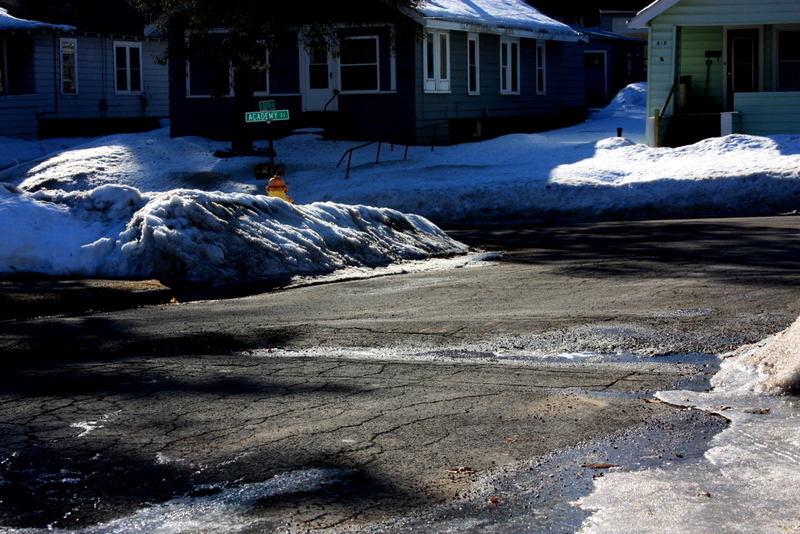 The freeze/thaw cycle causes pavement to be pushed up and traffic traveling over the weakened pavement causes it to break away leaving the familiar road pox. The mayor advises if you should happen to hit a pothole, you should report it. 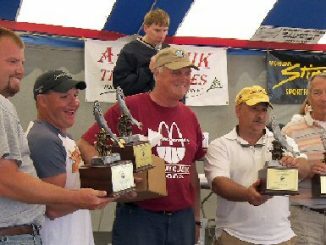 “If they think they have damage, they should put a claim in at the clerk’s office, and it has to be in writing,” Woodward said. 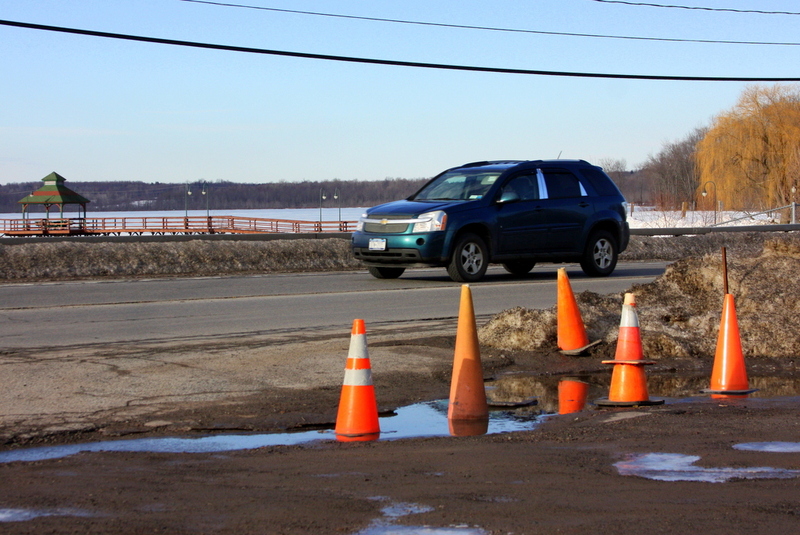 Road damage on Route 3 will likely wait until spring. He added that a couple potholes the city is already aware of will need to wait for spring when a more permanent repair can be made. Woodward said there are ways a city can plan to mitigate potholes, but those methods cost money. The city leader said when the city paved West First Street from about Walnut Street to the city line, and almost a mile and on West Fifth from Jerome to Broadway each of those projects cost $1 million. “What we had to do, they had clay underneath, we had to hire engineer’s, we dug the streets down four feet, and when we had them open we addressed the water and sewer lines,” Woodward said. Those projects included putting a gravel material in so the water drains away, compacting it and then laying in a fabric that allows water to seep through but not push back into the pavement above. “Those two streets were done in 1986, and we’ve only paved them once since then,” Woodward noted. “A lot of these streets, like Fourth Street and others like it, really this is what needs to be done to them. If you could afford to do it, you’d save maintenance costs for the next 30 years. The problem is, it’s so expensive,” he said. As city leaders try to keep up with the maintenance of the city’s infrastructure, Woodward reminds taxpayers that there is 63-64 miles of street in the city and every one of those streets has a sewer and waterline, then every home and business has a sewer lateral and a tap out of the water main going in. Rollers on Sixth Street need more than just a little cold patch. Although much of the city’s water and sewer lines were installed with state of the art engineering 100 years ago, “we never expected they would last 100 years,” he said. Meanwhile, the city’s leaders continue to plan for the Fulton’s future even if the work is underground and the budget is tight. “We always try to plan projects, the awful reality of it is, we’re in hard times. Not just us. I know the state’s financial restructuring board just brought Rochester in,” Woodward said. He added that he has had contact with other nearby communities who are also applying for the state financial board’s help and the potential of $5 million to help make ends meet. 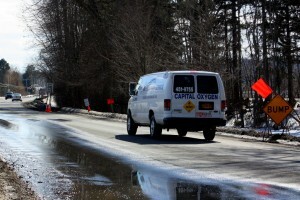 Meanwhile, locally as residents wait for the bituminous mix plants to open so that more permanent repairs can be made to busy streets and highways, the city is planning a few more upgrades to its aged infrastructure. While the city has bonded for the materials, in order to save the taxpayers some money, “We’re going to do it ourselves,” he said.